First things first, I am not anti Modern Techniques. I have spent years and years studying and practicing this methodology. I feel that they have prepared me very well for a “proactive” gunfight. My focus has now moved on to the seamless integration of proactive gunfight and the reactive gunfight. This is not an insult to Col. Coopers work….it is a continuation of his work…..it is complimentary to his work. Now with that said, let’s get to the meat of the issue. I am constantly questioned by the diehard Modern Techniques (MT) advocates about the wisdom of teaching as many things as I do. They often see it as “way too much” material and “way too complicated.” I could not disagree more! As I began to look around in order to fill in these gaps, I discovered what the problem was with the MT. The problem was that it was a limited batch of disjointed techniques. These limited techniques were forced to fit into situations that simply did not make any sense. I knew right away that there had to be a better way, because this went against every prior experience that I had ever had in my life. To me the MT was comparable to learning to box from a slow, plodding, heavy-handed, heavy weight. As an athletic, lightning fast welterweight, learning from a slow, plodding, heavy-handed, heavy weight made absolutely no sense at all. The techniques were just too limited and did not fit into my strengths at all. I was told that “this is all that you will ever need.” I did not believe that for even a minute. A fight is a fight, it does not matter what kind of fight it is. Fist fight, knife fight, gun fight…..the bottom line is that it is a fight. If as an individual, you were blessed with God-given talents and strengths, why would you ever abandon those attributes? The answer to that is that you would not and do not abandon them, no matter who tells you “this is all that you will ever need.” The idea that all I could handle was a few, limited, disjointed skills is absolute lunacy to me. There is not one event in my life that has ever told me that I could not handle transitioning through a fluid situational response when the chips were down. The idea of dumbing something down so that I could perform it under stress is as foreign to me as a traditional Lithuanian dance. The reality of the fight is that “situations dictate strategy, strategy dictates tactics, and tactics dictate techniques.” Any fighting system that has the techniques dictating anything should raise a huge red flag. The statement above means that we must be as well-rounded and versatile as we possibly can be. The question is how do you incorporate all of this well roundness and versatility into a simple fighting concept? The answer is that we train in “concepts” that work within the correct context of the fight. What is the context of the fight? This is a question that blows the Hicks law right out of the water. Hicks law states that the more choices you have, the longer it will take to pick one. One of the most common things that you will ever read on a gun forum is “It is situational” or “it depends.” The exact context of the fight opens up a very limited choice of responses. This is a simple concept that can be seen in any basic boxing match. No one in their right mind throws a hook or uppercut from way outside and nobody in their right mind throws a long, looping, overhand power shot from a clinch. The situation dictates the logical punching combination. This is no different from any real fight. No one in their right mind point shoots at thirty yards and no one in their right mind uses the sights at three feet. The specific context of the fight opens up the logical concepts that you have trained in. The illogical responses are never even considered. They are never a part of the decision-making process. This conceptual approach allows for a vast integration of a variety of skill sets. This well-rounded integration allows for the best response for each and every situation. But each skill set has its logical place inside of the context of the fight. Once again, illogical skill sets are never even on the table. Since the situation dictates everything, we need to understand that “the situation” (the context of the fight) is the defining element. We have to understand that there is a “fight continuum” and inside of this fight continuum there are lesser continuum’s that help establish the concepts inside of the correct context of the fight. One of the first concepts that we need to accept is the reaction concept. This is the concept of our initial reaction which is usually based on who has the initiative. You can either be in a dominant position, of equal initiative, behind in the reactionary curve, or way behind in the reactionary curve. Your reaction must be dictated by who has the initiative and to what extent that they have it. The MT did a fine job of teaching us what to do when you were in a dominant position….but is severely lacking in regards to the other positions in the reactionary curve. The second biggest factor in the reaction continuum is the proximity of the threat. This will dictate whether you can “go to guns,” whether you have to “go hands on,” or whether you have the ability to get to cover or use “positioning” to mitigate the threat. 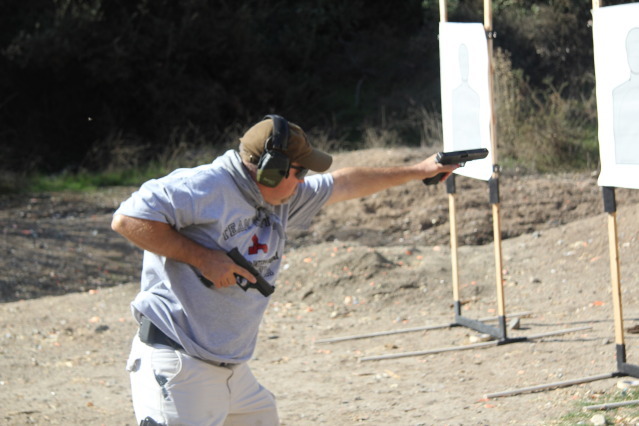 The reaction continuum also dictates the initial direction that you move, the level of explosiveness of which you move, the clearing of the cover garment, and the accessing of the firing grip on the handgun. This concept is about whether you are stationary or moving, the direction that you need to move to, how much traction you have, your physical attributes or weaknesses, the urgency of the situation, and the allowable amount of telegraphing. There are a number methods to take off and each has their strengths and weaknesses. The better you understand what those qualities are and the better you can apply them to the correct situations, the safer and deadlier you are going to be. 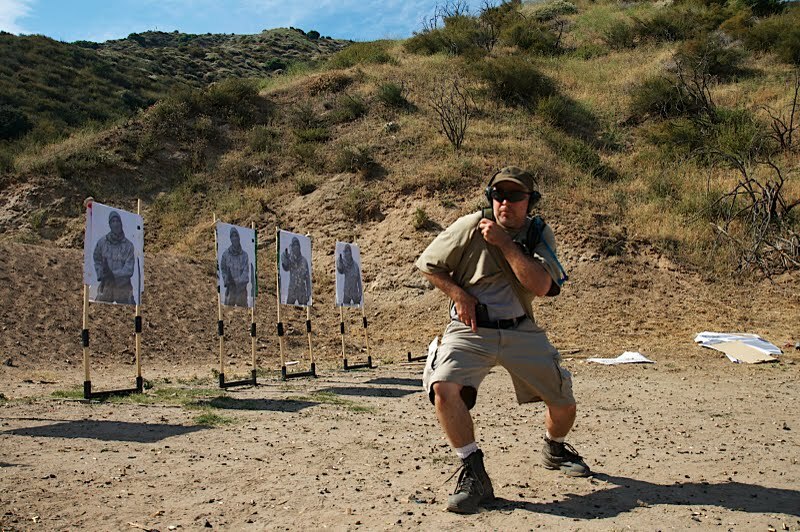 Whether it as a Two Footed Take Off, a Pekiti Take Off, an Enhanced Pekiti Take Off, a Lean and Push, or a Systema Take Off knowing when a where they all shine is an important tool to own. 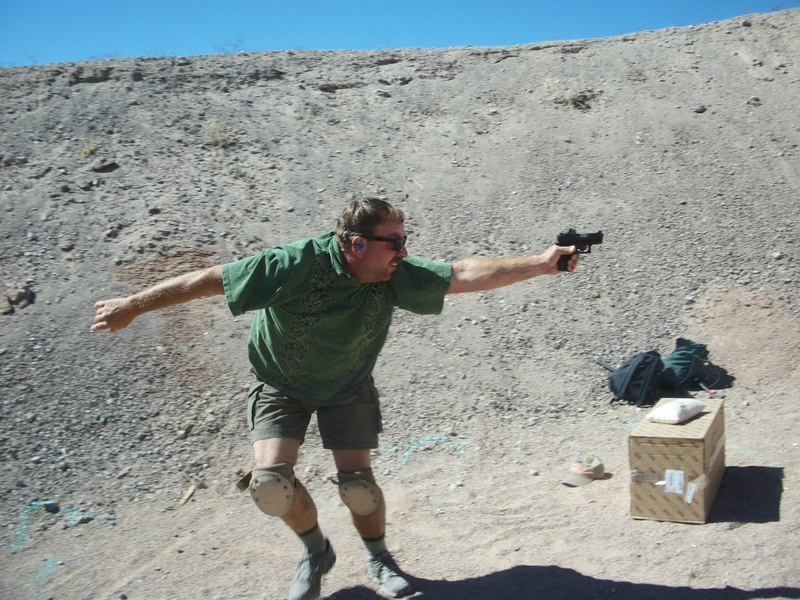 This concept is all about how far you can safely project your gun, without opening yourself up for an attack on the gun, the gun hand, or the gun arm. This is about learning about time proven methods of retention that allow you to be as safe and deadly as you can possibly be, all while dealing with the most fluid of concepts inside of a fight……..the distance. Whether you use an “elbow down” method of retention or a an “elbow out” method of retention it is all about being smart and not leaving any openings that can be taken advantage of. It is about having the knowledge and the skills to make the hits with whatever room is available inside of the fight. The reaction concept and the retention concept leads us into two other concepts that happen simultaneously, the movement concept and the draw stroke concept. The direction, the explosiveness, the speed, or even the need for movement is dictated by the context of the fight. The MT did fine with teaching us how to make hits with “stand and deliver” and “controlled movement,” but did nothing for us in regards to truly dynamic movement. Our movement needs to be dictated by the urgency caused by your placement inside of the reactionary curve and the proximity of the threat. The amount of initiative that the adversary has will dictate where you need to be inside of the balance “to hit and not be hit.” There are times where making the hit out weights making the adversary miss (when you are dominating the fight) and vice versa. This will all be very apparent as the situation comes down. I feel that it is best to prioritize your movement for “your” most likely encounters. Civilian defenders and typical Street Cops priorities can be very different from that of someone in the military or in a special unit. 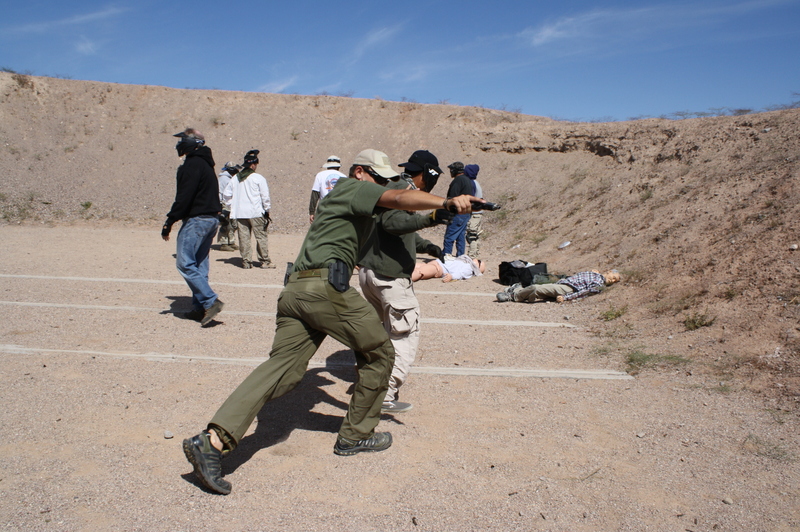 As an instructor who specializes in the training of civilian defenders and Street Cops, I tend to do most of my training inside of ten yards. I also but a high priority on movement to the forward oblique’s but, I also feel that every direction should be covered……every direction, with varying speed, with the use of “see what you need to see” skills, while integrating directional changes, weapon transfers and footwork pivoting. The goal is to be well-rounded, versatile, and completely comfortable with whatever movement is needed in the specific situation. The draw stroke should be based on common sense. There will be times where squaring up to the threat and using a default linear tow handed draw stoke makes all of the sense in the world. But we have to realize that there are also times where it makes absolutely no sense at all. I feel that the physiological response to square up to a threat is something that we should attempt to train out of ourselves. It may be useful at times, but it may have deadly consequences at other times. Taking the time to square up locks you into the kill zone. This hesitation (no matter how small) can be very detrimental. We all know that the quickest point between two points is a straight line, with this in mind, draw directly to the threat. We also all know that the quickest way out of the kill zone is by using existing forward momentum with explosive forward movement (from the 10:00 – 2:00). With this in mind do not take the time to orientate to the threat to draw before you get off of the X. Where do you shoot from inside of your draw stroke? How many hands do you have on the gun? Once again these questions are dictated by the situation. You may need to shoot as soon as you have clear the holster and indexed on to the threat due to the urgency of the encounter. You may have time to come to full extension at the line of sight. You may find the best answer somewhere in between those points. You may have the opportunity to draw to your two-handed default draw stroke. 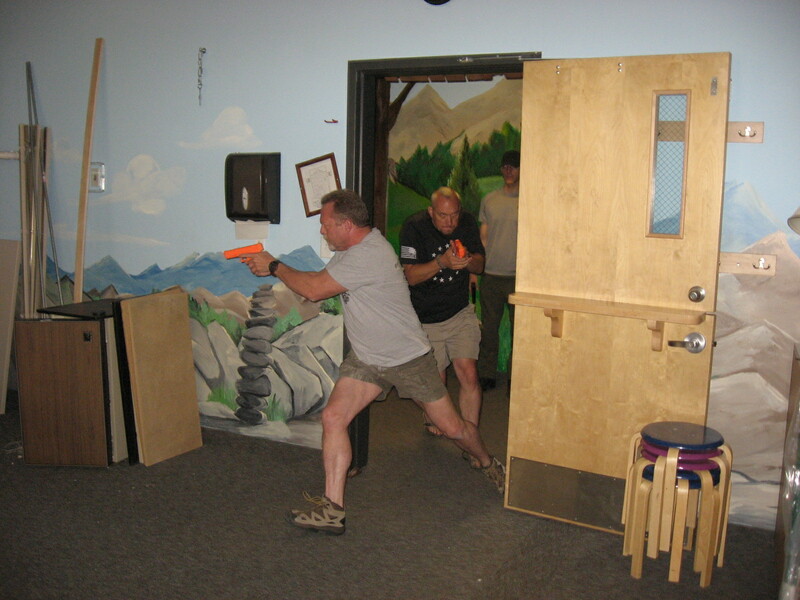 You may not even be able to bring your support side hand to your gun because it is busy doing even more important functions such as fending, blocking, striking, balancing, manipulating other tools, manipulating the environment, being used to facilitate efficient shooting and dynamic movement. A completely versatile draw stroke, to every position on the clock, with whatever retention level is needed, and with whatever movement is needed is the only way to have all of your bases covered. 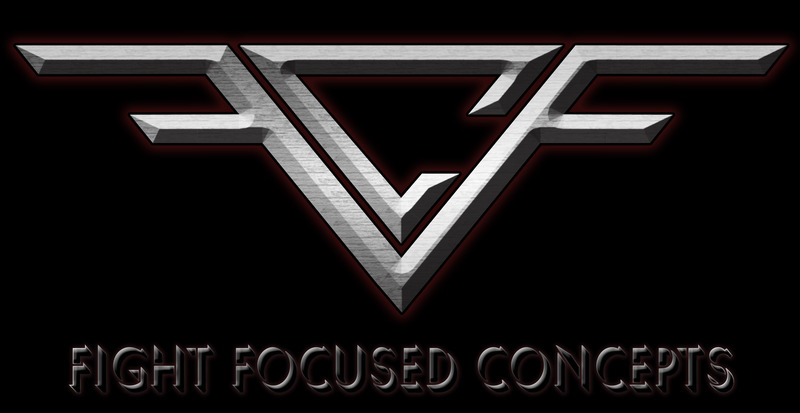 See what you need to see, to get the hits that you need, within the correct context of the fight. Your ability to get to and use the sights will be dictated by many factors. These same factors will also dictate from what position that you need to shoot from…..you may not even be able to get to full extension, or to the line of sight. The wise man will learn to make hits throughout his completely versatile draw stroke. The factors involved are once again the defining element of the correct context of the fight…. initiative, urgency, proximity, and necessary movement. One thing that must be kept in mind is that the activation of the Sympathetic Nervous System out of the fight or flight response has very specific physiological effects on the human body. One of the most significant physiological responses inside of the sight continuum is the dilation of the pupils that may make it impossible to focus on anything up close….including your sights. I have eluded too these two aspects of the fight on a few occasions. Luckily the position in the continuum will automatically be found by the physiological response of the encounter. Once again, this will be dictated by the correct context of the fight. It really is as simple as the closer and the more urgent the encounter is the tighter you will squeeze the gun and the harder and faster you will work the trigger. Do not confuse this with poor shooting skills. 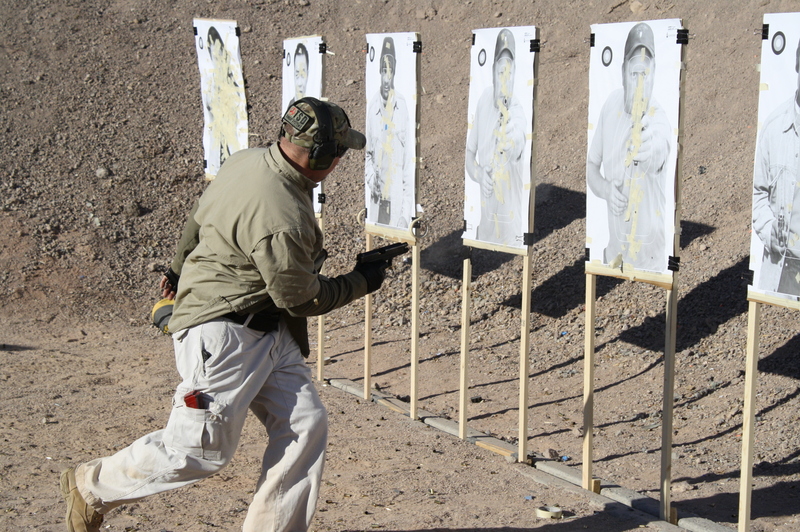 It may not fit into “The Fundamentals of Marksmanship,” but it is firmly rooted in the physiologically sound teachings of point shooting/combat shooting. As the distance increases and the urgency lessons, the grip and the use of the trigger will automatically move away from the physiological teachings of point shooting towards “The Fundamentals of Marksmanship.” This is just a physiological fact that one should accept and learn to benefit from. Train Conceptually! Understand the dynamics of a life threatening encounter, never let your techniques dictate your response, keep an open mind, be as well-rounded as possible, let your versatility be your number one strength. Use visualization as you train in your concepts to ingrain appropriate responses at a subconscious level. Never accept the limitations set down by another man…..but never underestimate the value of the fundamentals. Do not fall in line with those that are weak of mind and heart, the ones who tell you that this is not possible. 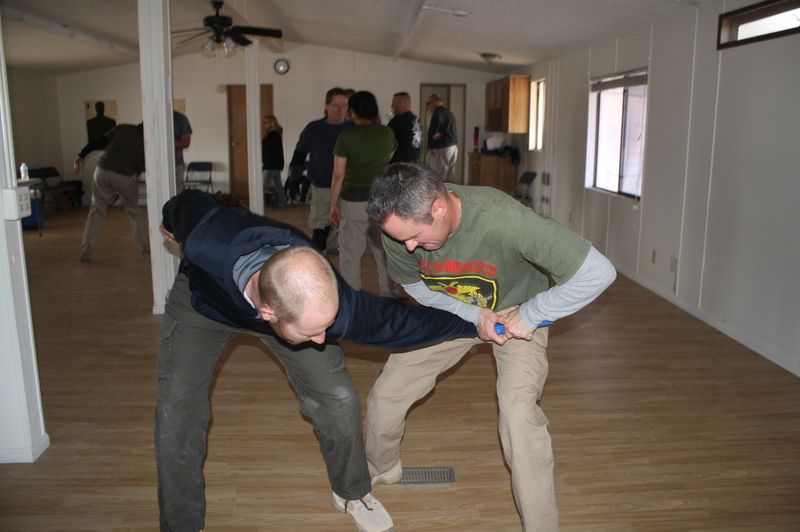 Look to those that easily integrate conceptual training into their fighting systems…..they are many! All of the very best fighters are well-rounded and versatile. All of them can seamlessly flow through the ever-changing dynamics of a fight. “Be like water” is not just a really cool quote from a really cool guy……..it is a quote from a fighter that understood that being well-rounded was much better than being flat sided. 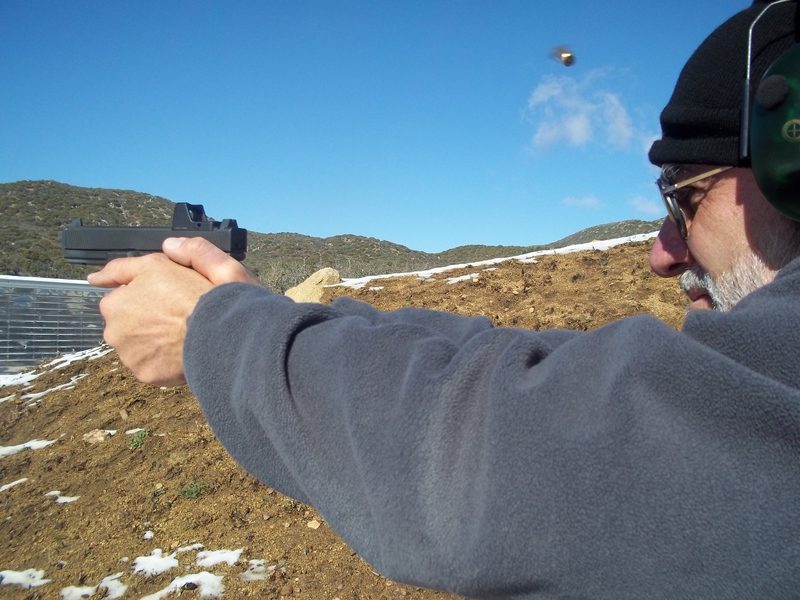 If you understand and can seamlessly integrate/apply The Seven Concepts to your handgun, you will have the vast majority of situations that you can run into, covered at a very high level.